There's been plenty of coverage surrounding Carrier IQ in recent days, so it was only a matter of time before we'd be hearing whisperings over on this side of the Atlantic. 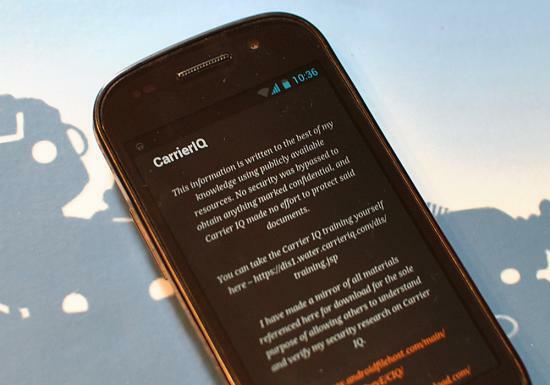 However, some of the UK networks have come out and insisted that they absolutely do not employ the Carrier IQ software. Speaking to The Guardian, Vodafone, Orange and O2 all say they do not install the software on any of their devices in the UK, and to their knowledge it isn't shipped on any of the phones that they sell. Vodafone Portugal however are allegedly going to start using the software, according to Carrier IQ themselves. But in the UK at least, there's no apparent reason to be concerned.